To start with, there are different types of individuals living in this world. Among that billions of people, there are few chosen people who are given with interesting and unbelievable skills. These skills and talents contributed them in forming the person whom they will become today. Many wishes to be special, one of a kind and unique in many ways, they wanted to stand out among the rest. That is why those who are given talent make sure that they had polished it. However, as for the talents, it is expected that only few are given the rare skills. For example, the psychics are people provided with a stronger ESP also known as extra-sensory perception. Every person has their own psychic ability. However, only those whose skills are stronger can trigger its activation. There are several types of psychics, and the abilities that they possessed. In every part of the world, their existence is undeniable. Reading about a person’s future or even their present as well as their past, all of these attributes is acquired by a psychic. They either use a certain tool to do it or not. Speaking of tools that are able to see what had and will happen, tarot cards is the most famous tools used by Tarot Psychics. A tarot psychic has the ability to read one’s future using the tarot cards. They will interpret the symbolism on each of the cards. As you see, there are 78 cards found in a single tarot deck. 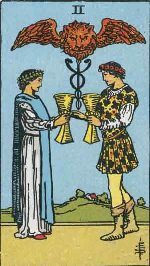 Each card has it's own meaning and the Tarot Reader is skilled in reading the meaning of the tarot cards and how they apply to your life. There are also several tarot spreads that tarot psychic will use in your reading.. Looking for a trustworthy psychic for a tarot reading is easy. Our gifted Tarot Psychic Readers are able to assist you in reading out your future with the use of the tarot cards, helping you answer life's most difficult questions.